Let's start with the basic, underlying theory of packing for portaging. Unless you're day tripping or an absolute diehard minimalist, you're not fitting a loaded pack into a dry hatch. So the plan is to make it as easy as possible to empty out the hatches, load up the pack and go - as quickly and efficiently as possible. For me, this means my gear is organized into a handful of dry bags, plus my food barrel and an empty canoe pack. So let's start there. Location in kayak: Aft dry hatch. While I could fit my gear in smaller pack, remember that you're going to have a kayak on your shoulders, and unlike a canoe, the kayak has a top to it. If your loaded pack extends above your shoulders it's going to make it impossible to carry your kayak. So a bigger pack means more room below the shoulder line. There are many canoe packs of this size to choose from, but definitely look for a canoe pack, not any sort of frame pack - the frame pack will either not fit in your hatches at all, or will take up more space than you have to spare. Bear Mace and Knife on outside of pack for easy access. Bear mace also on outside because it were ever to shoot off somehow on its own, you really don't want it ruining your gear. Tinder bag: Finding firewood is usually pretty easy. Finding tinder to get the fire going isn't always as easy. I pick up birch bark and whatever other dry tinder I find during my portages that day so I don't have to hunt for it on my campsite. Shoes: they're often muddy or dirty so can't be in a bag with other clothes. Clothesline, clothes pegs: When I get to my campsite, the first thing I always want to do is swim. I toss up the clothesline quickly and then jump in the lake... often with much of my clothing still on (easiest way to wash it!). I need a place to hang them up when I get out. ​Location in pack: Bottom, against back. Most people take a bear bag and hang it. I found I was obsessing a little too much over hanging the perfect bear bag, to the point where it was taking enjoyment out of my camping trips. So I bought this bear "resistant" barrel, and I love it. Now I simply go for a walk away for the campsite, find a likely spot and drop my barrel on the ground. No muss no fuss. Except, of course, the occasions when I completely forget where I tossed it, and spend 20 minutes the next morning hunting it down. The biggest advantage, aside from not having to hang a bear bag, is that it's a consistent size, which makes it easier to maintain a consistent method of loading up the canoe pack. Whether or not you'll use a bear barrel is up to you, but be warned: this would not fit through the hatch openings on many kayaks. Location in pack: Lying sideways across the pack on top of the trio of 'base' items. This dry bag actually holds other dry bags. While on the surface that might seem strange, remember that the goal is to be able to load and unload a canoe pack quickly, so the fewer total items in the pack the better. But it's still good to have your gear properly organized, and so here we are. Inside this bag are three dry bags and a compression sack. Bag 1 - In Tent Gear: As the name implies, this is personal FX that will end up inside the tent. Headlamp, book/kindle, small mirror, wallet, keys, TP, ear buds, contact case and solution. Bag 2 - Cooking Bag: Kettle, Stove (twig or fuel, but these days it's almost always the twig), coffee bodum, bowl, spork, matches, sponge. Bag 3 - Emergency Kit / Repairs: Matches, filter repair kit, first aid kit, extra pair of contact lenses, extra route map, tenacious tape (seriously that stuff is amazing), extra AAA batteries. The tent part of the tent, the poles, the sleeping pad, and the saw. I figure you were with me up until "the saw". For years my saw kind of bounced around from one place to another and was often just a thing I tossed into a hatch by itself, and likewise tossed into my pack. But remember - easy packing and unpacking. And it happens to be the exact same length as my tent poles and the width of the folded tent as I'm rolling it up. So my tent, folded twice lengthwise, is laid on the ground. On top of that I lie my sleeping pad, folded once lengthwise. On top of that goes the tent poles and pegs in their bag, and my saw. And then I roll it up all up and put it in the tent bag. Trust me, it works. But if you have a better idea let me know. Compression sacks are an amazing thing and if you're not using it for your clothing and sleeping bag, I highly recommend one unless space isn't an issue (in a kayak, space is always an issue). 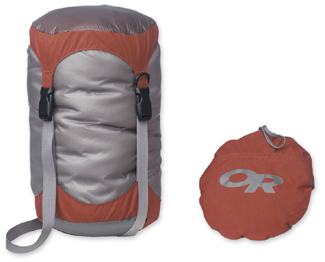 The compression sack I use is actually the exact one in the picture (Outdoor Research. Had it for years). I think it's 25L. In that pack goes my clothing and sleeping bag. I don't put my rain or bug jackets in the compression sack, because when you need either of those things you need them quickly, and you don't want to have to go digging. In colder weather there may be a thin pair of gloves, a toque, and a heavier long sleeve as well. Those contents exclude what I'm wearing of course, which includes pants: I don't go on any camping trips with nothing but swim trunks and a pair of underwear; the bugs won't let me. If you want a motto for packing clothing for a camping trip, here it is: One to Wear, One to Wash. You almost never need more than two of anything as you can wash and hang dry the one you're not wearing. Socks are my one exception to that as a) they're small anyway and b) socks can take forever to dry. If you noticed that "quick dry" is a theme in my clothing: please don't pack anything that, once wet, can take days to dry. Sooner or later you will regret it. Or even worse, you'll leave it lying at the start of a portage because it's so heavy you just can't be bothered to carry it any further. Which means someone like me carries it out of the park, cursing whatever name I've assigned to you in my imagination the whole way. In case you're wondering about the pillow case, I pack most of my clothing into it at night to use as a pillow. I'd love to bring an actual pillow but I can't justify the weight or the bulk. At this point I've covered the things that are always in my pack during a portage. There's another item or two that might be in there depending on the trip - I'll touch on them later. For now let's talk about the rest of the gear. A good PFD is important. 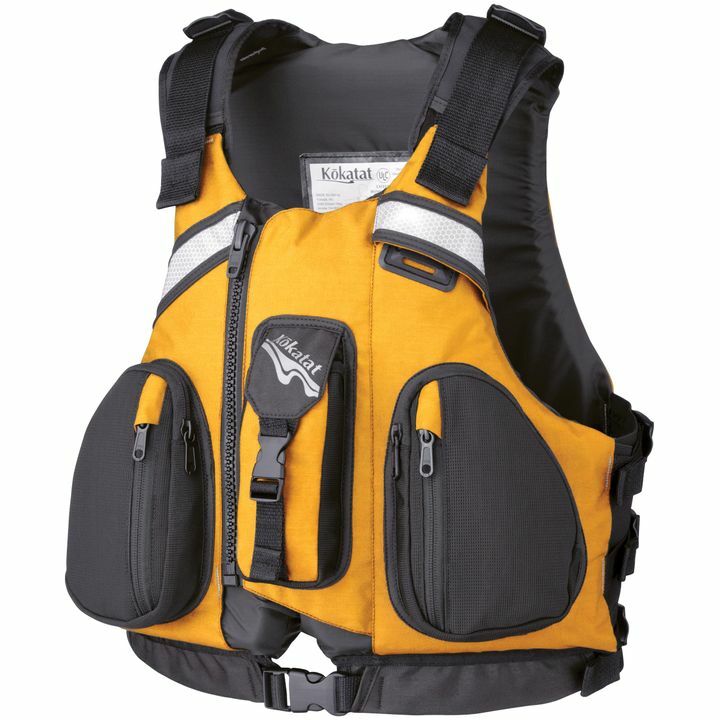 A good PFD with lots of pockets is even better. I'm always - always - wearing my PFD when I'm on the water, no exceptions. When I'm portaging, it generally ends up in the aft dry hatch, but it's all about balance so it could go in the front if that's what works. The general theory being, if the worst were to happen and I somehow washed ashore with nothing but me and what I was wearing I'd be able to get warm, start a fire, and call for help. Mine's lime green, but this is a pretty great colour too. 1. It is a great kayak to paddle, empty or fully loaded. It eats up the kilometers. 3. It has large hatch openings. When you're trying to stuff large packs (or a bear barrel) through those openings, the bigger the better. ​ 4. They're a Canadian company. Unrelated to why I chose it but - whatever kayak you go with, pick rudder over skeg. This is no knock on the skeg iself - I've paddled skeg kayaks and thought they were great, but that skeg retracts into the middle of your aft storage hatch, and that ruins your cargo space. Rudder, rudder, rudder. I've had my Delta 16' for 4 years now. With my previous two kayaks I started thinking about what my next kayak would be. With this one, if there comes a time when I have to replace it I'll be buying the exact same thing (although I think Delta has updated the model, so that's exciting). It's absolutely perfect for what I use it for. A water filter. 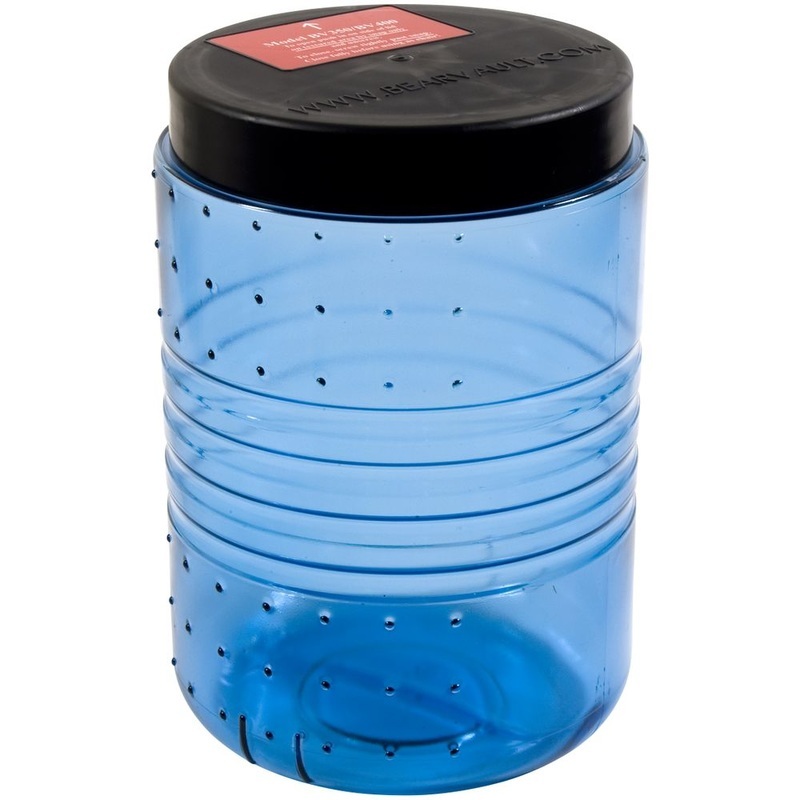 I just bought a new filter for this camping season - the MSR Guardian. It's utter overkill for Algonquin, but a filter that doesn't need to be cleaned was just too good to pass up. I'll write a blog post about whether or not it lives up to the hype once I've actually, you know, used it. Sunglasses case. When not on my face, the sunglasses are in that case. Water bladder. 4L MSR dromedary bag. My map case - preferably with maps inside it. While my list covers most things, it's leaving out some obvious necessities. 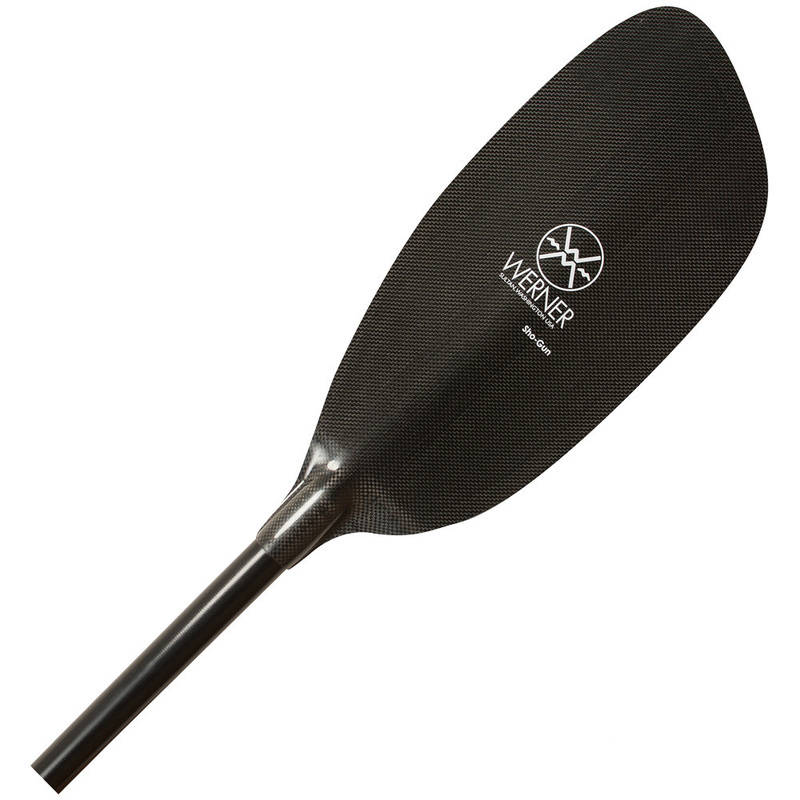 A kayak paddle (Werner Kalliste bent shaft. Love it). A spray skirt if you're going to be on large bodies of water. A sponge to mop up whatever water is in your cockpit before portaging (a sponge weighs nothing. That 2L of water sloshing around in your cockpit weighs 2 kilos). Whatever 'luxury' items you want to bring. Really it just comes down to the trip. Does the weight / volume of that item bring you enough happiness that it justifies the fact that you're going to have to carry it? There's nothing more annoying than carrying something over many kilometers' worth of portages, only to get back to your car and realize you never actually used it. Be Frugal: If you're not sure whether or not you need it, you don't need it. For many people heading into the wilderness, bringing back photos and videos of your experience is important, and I'm no exception. It's almost a game-day decision what I bring on any given trip, but some way to take pictures and videos is always part of my gear. If nothing else I always have my phone on me, but I often take an SLR camera (but limit myself to a single, wide angle lens) and a GoPro. When I bring the GoPro, I bring a suction cup mount to attach it to the kayak (but also attach it by a rope to the deck rigging as well - the suction cup will fail now and then, and GoPros don't float) and literally a dozen batteries in a pelican case. One GoPro battery doesn't last long. When I bring my SLR, it goes into a heavy duty rubber dry bag. 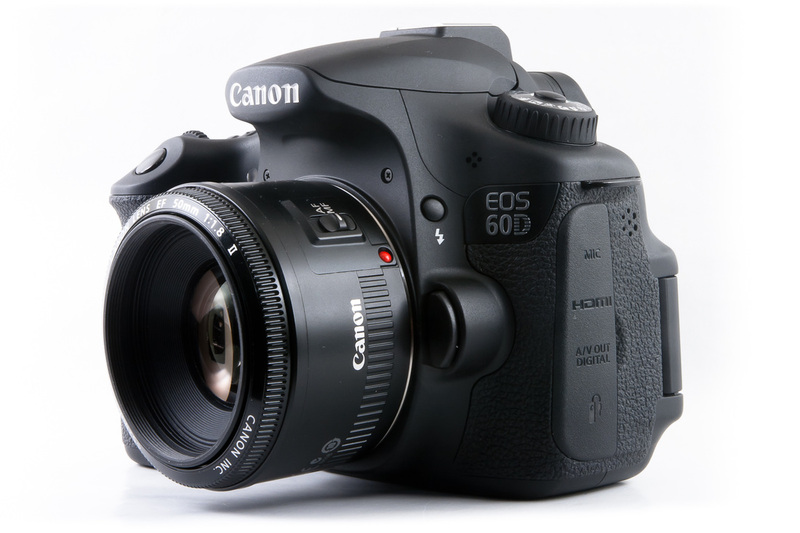 While still far less than is recommended, a proper SLR dry "case" is impossibly bulky. So far I've never ruined a camera, but I did drop a lens cap overboard one time. When I bring the SLR, its dry bag ends up on top of everything else in my pack. When I bring the GoPro, it remains attached to the kayak during portages. Finally we're left with nothing but words of wisdom... or stupidity. You decide! While dry bags within dry hatches might seem like overkill, I've flooded my hatches a time or two (rock damage puncturing the hull). It can be the difference between soaked or destroyed gear, or no harm no foul. It's worth the extra few grams. Be Consistent: I pack my gear the same way on every single trip. I might add or remove things as needed, but I have a system and I stick to it. Have a Checklist: Before every camping trip I sit down with my gear, and a checklist, and check off every single thing as I'm packing it. There is nothing suckier than pulling up to your first campsite of a trip, hours from the car, to realize you forgot something vital. I'm going to post my current checklist somewhere on this website, once I find it. Review, and re-review your Gear: When you get home from a camping trip, go over everything you took with you. Did you use it? Did you need to use it? Would you have been okay without it? Did you bring far more food than you actually needed? My early camping trips suffered from "just one more thing" syndrome. I might not need it but it barely weighs anything, so let's take it. I probably don't need this but you never know. Multiply that by 10 or 20 fringe items, and you have 5 or 10 extra kilos in your pack. Keep tabs on what you need, what you'd like to bring when you can manage it, and what turns out not to be necessary, and get everything out of your pack that doesn't need to be there. 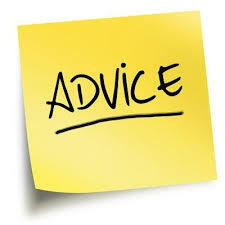 The exceptions to this advice are of course anything involving safety. On most of my trips the most I pull out my emergency kit is a bandaid or two, but that doesn't mean I'm going to leave it at home as unnecessary. Build or Buy a Kayak Yoke: It seems strange that I'm posting this as a single line-item on an entire page of gear, as in a way it's the main reason I created this website. Portaging a kayak by carrying it on one shoulder is brutal, and you're going to hate it. 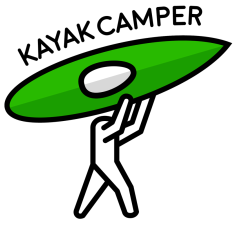 I have a whole section of this website devoted to the kayak yoke I've been improving for 8 years now: read it, and then build one for yourself. If you need more advice on how to build one, contact me.